Home � Disney World News , Disney World Ticket Prices , Disney World Tickets , Disney World Vacation Planning � 2014 Disney World Ticket Price Increase Announced! 2014 Disney World Ticket Price Increase Announced! 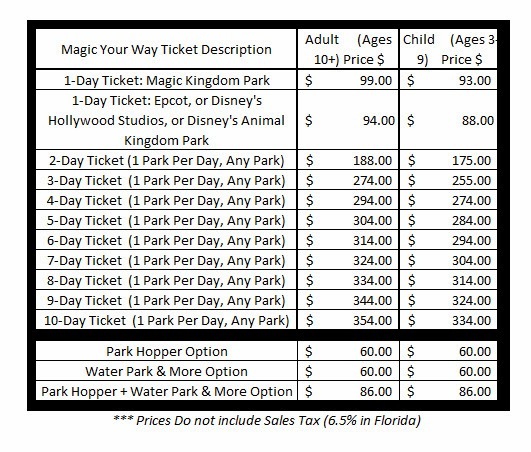 Effective immediately Disney World Ticket Prices have increased! 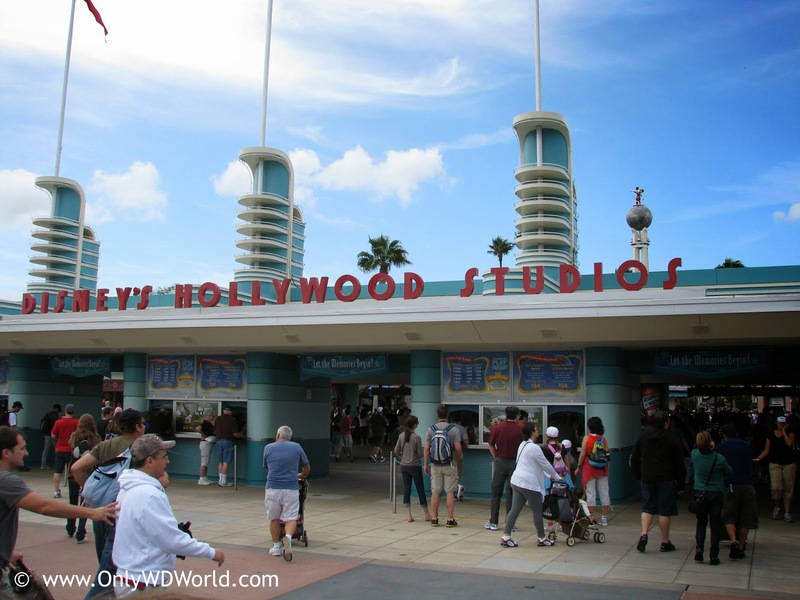 Starting on February 23, 2014 new Disney World Ticket Prices have gone into effect both on-line and at the ticket booths at the Walt Disney World Resort. This price increase came without prior notification or warning. Here are the new prices that are in effect. Please note that all prices shown are without Sales Tax that will add an additional 6.5% to the total. The pricing structure remains in a similar fashion to the previous Magic Your Way Ticket options where buying just 1,2, or 3 day tickets are extremely expensive and you did not see a price break until you purchased 4 day or longer passes. There is no difference between adult and child pricing for any of the Disney World Annual Passes Anymore. The new Annual Pass price is $634 and the Premium Annual Pass is $754. The Disney World Annual Pass includes admission to all 4 Disney World Theme parks (Magic Kingdom, Epcot, Disney's Hollywood Studios, & Disney's Animal Kingdom) for an unlimited admission with Park Hopper rights for an entire year. It also includes FREE Parking at all of the Disney World Theme Parks. There are additional Discounts and privileges that are available to Disney Annual Passholders such as the ability to purchase the Tables in Wonderland Discount Dining Card. One day passes will cost $53 for Adults(Ages 10+) and $45 for Child (Ages 3-9) + Sales Tax. 0 comments to "2014 Disney World Ticket Price Increase Announced!"